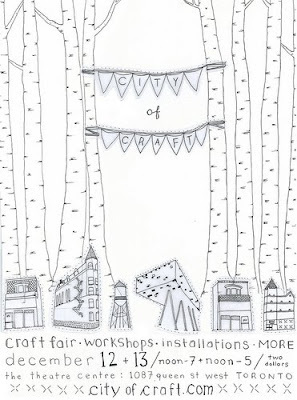 Just a quick reminder that City of Craft is this weekend!! It's a full weekend of craft, as the event is both Saturday AND Sunday this time around! There will be even more installations and workshops along with the craft sale, which is were you can find me with all my wares. I'm trying out some new things this year with my work, I would love to get your feedback. Hope to see you there!